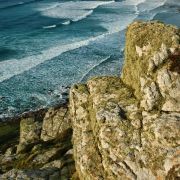 The name of the demon Jan Tregeagle is well known name in every part of Cornwall. His wild spirit rages on cold dark nights when his ghostly wails can be heard along the rugged coasts, across the bleak moors and through the wooded valleys. 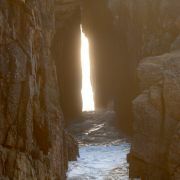 For Tregeagle was doomed to being the Cornish "Wandering Jew"; his spirit can never rest, since in his life he was perhaps the most evil man the Duchy has ever known. The story of Tregeagle took a few centuries to develop and as many variations according to who it is told by. Whilst the tasks and the exact nature of Tregeagle's relationship with 'Old Artful' (The Devil) may vary, the premise remains the same; that of a wicked man's spirit being set a series of impossible tasks to keep his soul out of hell until Judgement Day. In this version of the legend Jan Tregeagle was man who amassed a great deal of wealth by all manner of evil underhand deeds including cheating an orphan of his inheritance. It is thought that Jan Tregeagle actually existed and was an early 17th century magistrate probably in Bodmin. As he neared the end of his mortal life remorse began to creep up on Tregeagle. There was practically no sin he had not committed and in an attempt to escape the just reward of so wicked a life in the hereafter he lavished money on the church and the poor trusting to obtain the help of the clergy to save him from the clutches of the Evil One. Bound by the duty of saving a soul, the priests banded together and by constant prayer and powerful exorcisms kept the powers of darkness at bay. 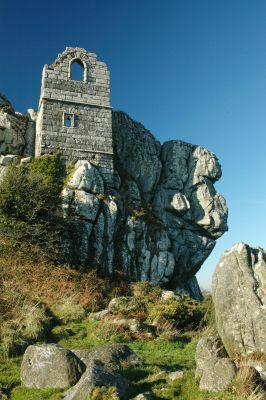 When Tregeagle died he was buried in St Breock Church near Wadebridge. But the demons were not so willing to give up what they felt was their lawful prey. Shortly after his death there was an important lawsuit. The judge was just about to finish his summing up, and the case was all but decided against the defendant when he called for a further witness, Jan Tregeagle. To the horror of the court the gaunt, shadowy figure of Tregeagle began to appear in front of them in the witness stand. Whilst many fled the judge remained and questioned the ghostly figure. The evidence given was enough to proove the defendant's innocence. Now the fact that Tregeagle had been brought back from beyond the grave, despite the reason being worthy, placed him once more within danger of the demons. The defendant who had raised the spirit, calmly left him to the Churchmen to once more put to rest. After a long conference, presided over by the Prior of Bodmin, it was decided the only hope for ultimate peace was for the spirit of the evil man was to set him a task that would keep him busy until the Day of Judgement and keep him from the hounds of hell, who would drag him below. As long as he worked unceasingly at the task he might still have some hope for salvation. 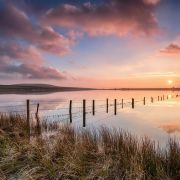 So, the task appointed to him was to empty out Dozmary Pool, a gloomy lake on Bodmin Moor (at that time believed to be bottomless), with a limpet shell with a hole in. For years Tregeagle laboured at this, until one day during a terrible strom he ceased work for a moment. The demons seized there opportunity and descended on him. 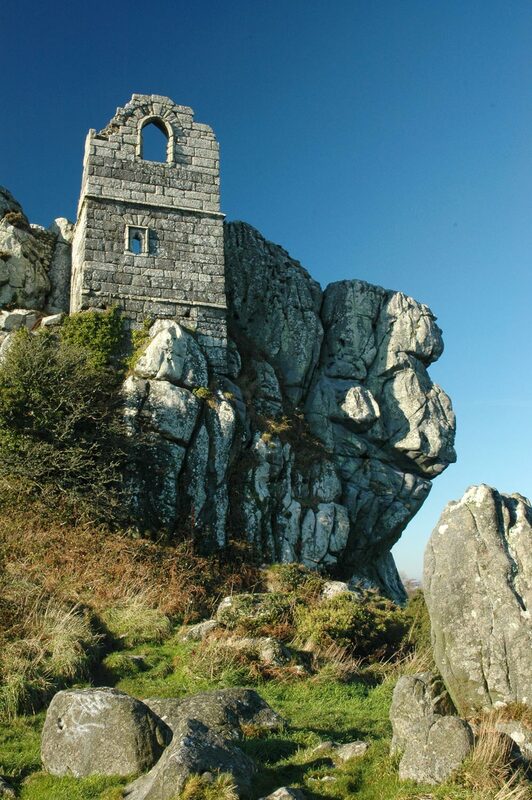 He fled from his pursuers, and only escaped them by leaping right across the lake - for demons cannot cross water - and rushing for sanctuary to the little chapel on the Roche Rocks near St Austell, where he managed to get his head through the east window just in the nick of time. With his head stuck in the window and his body dangling outside at the mercy of the demons Tregeagle remained. Eventually the infernal howling of the demons and Trgeagle's screaming drove the preist to call upon his bretheren for help. 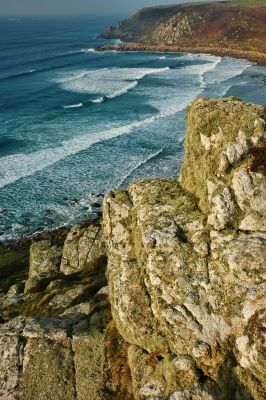 They bound the wretched soul with holy spells and took him safely across to Gwenvor Cove near Sennen on the north coast, where another task was set for him. He was to weave a truss of sand and spin a sand rope to bind it with. When it was finished he had to take it to Carn Olva. There are two versions of how this task ended the first says a storm blew up and the waves destroyed his labours. In the second there is a night so cold that Tregeagle poured water that then froze onto the sand allowing him to complete his task. Either way it ended with St Petroc being summoned who bound Tregeagle with a mighty chain and led him round to the south coast near Helston. 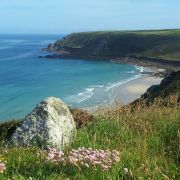 Here Tregeagle was set to the task of carrying all the sand from the beach below Berepper across the estuary of the River Cober to Porthleven, until only rock remained at Berepper beach. 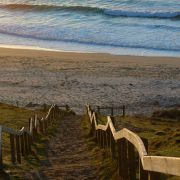 St Petroc knew the task was futile because with every tide the sand would be swept back again. But the demons were always watching, and one day they contrived trip up Tregeagle as he was wading across the river. 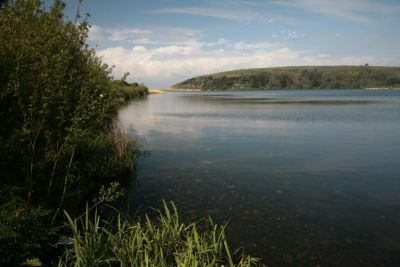 The sand poured from the huge sack that he was carrying and dammed up the stream, thus forming Loe Pool, which you may see today near Helston. 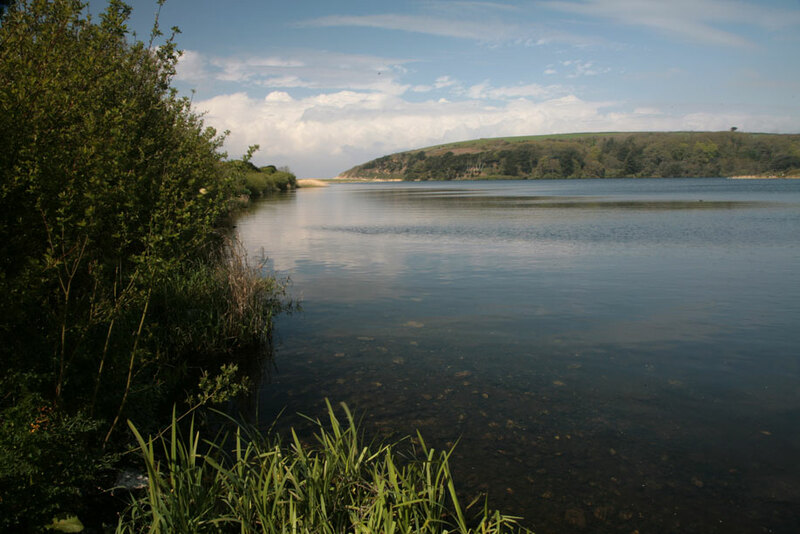 The dam is what is now known as Loe Bar, a sinister place with a few myths of its own. The final task set for Tregeagle, he is still carrying out to this day. 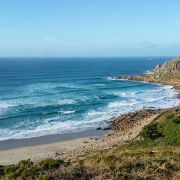 He was taken near Land's End, and there he is still endeavouring to sweep the sand from Porthcurno Cove round the headland of Tol-Pedn-Penwith into Nanjizal Bay (aka Mill Bay). It is said on many a winter night if you are nearby you can hear Tregeagle howling and roaring at the hopelessness of his task.